Use a spoon to scoop out and discard strings and seeds. 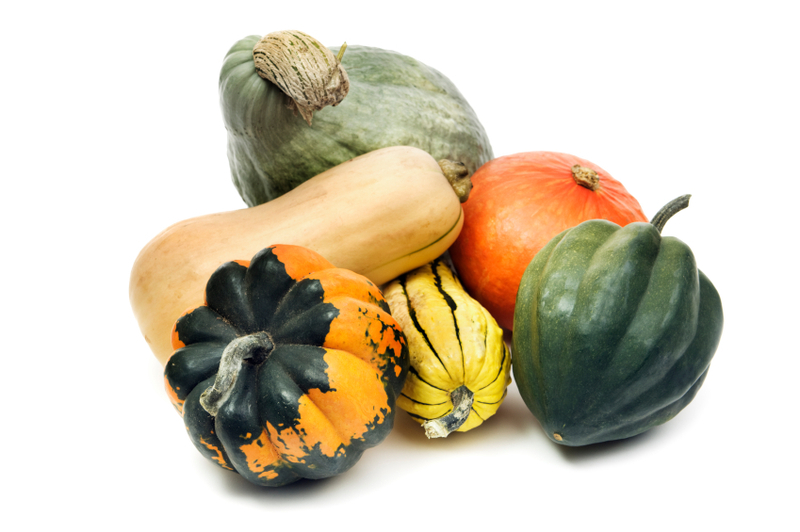 Cut squash into pieces about the size of your hand. Remove the skin and a layer or two of flesh (you want to remove any whitish or green flesh right beneath the skin) with a vegetable peeler or paring knife. Cut the peeled squash into 2 inch chunks. Heat oil in large skillet. Add onions and saute over med heat until golden, about 8 min. Add garlic and curry powder and saute until fragrant. Add squash pieces and toss just long enough to coat with the onions and curry. Season with cilantro and salt to taste. Scrape mixture into 13X9-inch baking dish. Drizzle coconut milk over squash. Bake until squash is tender and lightly browned, about 1 hour. Let settle for several minutes and then serve.